Catering Washington D.C. | Purple Onion Catering Co. 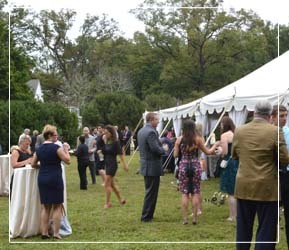 Partner with Purple Onion Catering Co., Washington, D.C., and the surrounding area’s event caterer for all of life’s celebrations. Successful events pay tribute to your occasion with a personal touch and attention to detail. Holiday celebrations, birthdays, anniversaries, galas, retirement parties, memorial services and more…they all deserve the highest quality products and the most creative team to put it all together. I want to personally thank you and your incredible staff for a wonderful dinner! The evening was such a success! Needless to say, you are already listed as our caterer for next year. For nearly three decades, Purple Onion Catering Co. has done more than cater beautiful private and social events in Washington, D.C. Under owner Margot Jones’ leadership, we have turned it into an art form—all in the name of helping you host an exciting, delicious and successful event. Using the freshest ingredients and the most experienced catering team in Washington, D.C., Purple Onion Catering Co. invests the time to get to know you before your event. While crafting custom menus and personalized details, we help make your occasion become a once-in-a-lifetime experience, and a fond lifelong memory. 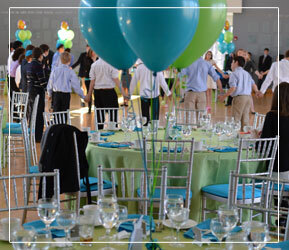 Thank you so much for helping to make Evan’s Bar Mitzvah celebration a big time success. Everyone commented on how wonderful the food was, and how friendly all the staff was. We understand that there aren’t any “do-overs” when it comes to your celebrations, so your event needs to be delicious and perfect on the very first try. That experience begins with your first phone call to our team. In fact, you can start the experience now by dropping a line! Thanks to our hugely talented culinary team and intimate event designers, planning your event becomes a fun, stress-free experience that you will enjoy. Your celebration is worthy of intimate details, whether it’s a small dinner party or a huge blowout bash. Get exactly what you want with Purple Onion Catering Co.
Let’s start planning your event. Call 703.631.0050 or send us a message.